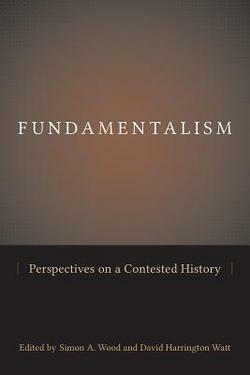 Fundamentalism; Perspectives on a Contested History published last month, contains a series of scholarly essays that examine different types of fundamentalist groups in America. I added this book to my bookshelf for its two essays by Shaul Magid, one on Habad and one on Satmar. In the essays, there is a lot of academic jargon that I don’t particularly pay attention to, and it is very concerned with using Protestant fundamentalism as a framework through which to examine other fundamentalist groups. I think that the comparisons to Protestant groups are irrelevant and did not add much to the subject, but are there to make the work a part of the larger subject of fundamentalism and broaden the essays’ reach (a practice that I find common in today’s academia.) The essays are otherwise well written and well researched, unreserved in its critical analysis, and provide good insight into the Satmar theology and the differences between Satmar and Habad. In the following paragraphs I will look more closely at the essay on Satmar. Predictably, the essay examines the Satmar rabbi’s stance on Zionism. If Satmar got any serious scholarly attention since its inception, it has been on its relationships to Zionism. This subject has been written about extensively and has become one of the most well-known characteristic of Satmar, especially among other Jews. This is understandable, as its opposition to Israel isn’t isolated and relevant to the Satmar sect only, but it implicates the wider Jewish community. Hence there’s been comprehensive academic treatment from the Judaic Studies field. I find that among my Jewish tourist groups there is strong interest in the issue and we often have a longer conversation focused on the Satmar relationship to Zionism. What I thought was really important about this essay and added to the subject, is Magid’s distinction between strands of Orthodox Jewish anti-Zionism that are concerned with the secular nature of the modern State of Israel (take Agudah) versus Satmar’s political anti-zionism. Magid writes “For him [R. Teitelbaum], secularism was anathema by definition, and he did not have to convince his readers of that. The issue [of Zionism] was the heretical use of political power as an insurance of Jewish survival.” Magid makes the connection between the Satmar Rabbi’s bold objection to Zionism and his success on American soil, where the Rabbi took advantage of multiculturalism and democracy as opportunities to establish his community. “He knew that America was a place where Jews could practice their religion in relative safety. Hence, the dismantling of the Jewish state would not by definition put the Jewish people in grave danger.” America, in this sense, gave security from persecution that made possible the rejection of modern Israel that many felt, after the war, was necessary for Jewish survival. To the Satmar Rabbi a safe haven in Israel was not necessary when there was one in America. This leads us to an examination of American democracy and how it relates to religious groups. Magid draws from the work of Nomi Stolzenberg, a legal scholar who has been studying Kiryas Joel and its relationship to American law for many years and wrote about the subject in the Huffington Post, and her position that the Satmar Rabbi’s shtetl Kiryas Joel is “an American shtetl” that, quoting Magid, “puts to use the secular government and the benefits of religious freedom for the purpose of promulgating their religious agendas.” Satmar espouses a separatist philosophy as part of its devotional doctrine, and is able to thrive as a separate group in America in a way it could not in pre-war Europe where there was not the same of freedom of religion, religious tolerance and welfare system. In other words, “American liberal democracy was very much a tool of Satmar’s Hasidic separatism.” Because America and pre-war Europe are so different, the shtetl of America is fundamentally different from the shtetl of Europe as well. “Kiryas Yoel is, in many respects, more insular, more homogenous, more exclusive than the European shtetl.” says Stolzenberg. “It is stricter in its observance and, symptomatically, the rates of yeshiva learning and life-long Torah study are far higher in Kiryas Yoel than they were in Europe.” Because of these features of American democracy, Magid makes a sharp distinction between Satmar in America and Satmar and Israel and proposes that each should be examined separately for the different governments they function in. Lastly, I think the most original thought and important contribution to the study that Magid makes in his essay is his short commentary on Satmar as a “Hasidic sect.” He writes “Satmar may be one of the only Hasidic dynasties that has no distinctive Hasidic ideology and even harbors a distain for mysticism more generally…In this sense Satmar is perhaps the least mystical sect of Hasidism.” Magid describes Satmar as almost antimystical, and references the famous comment by the Satmar Rabbi in which he allegedly said that the tradition of the Baal Shem Tov is no longer operative. This important ideological distinction between Hasidism in the popular psyche as a mystical movement and Hasidism as it is practiced by Satmar as a separatist ritualistic movement, is not very well known and warrants a more comprehensive treatment.